HMD Global this year brought back the Nokia brand with a slew of smartphones that ranged from the low-end to the premium segment. The Nokia 8 was the company’s flagship smartphone for 2017 and it is widely expected that it will be succeeded by the Nokia 9 in 2018. The Nokia 8 received a lot of positive reviews for its classy design language, Quad HD display, stock Android experience and impressive cameras. HMD Global on January 19 is expected to unveil updated versions of the Nokia 5 and Nokia 8 as well as a brand new high-end smartphone, the Nokia 9. The upcoming flagship will look to take everything good about the Nokia 8 and add something more. We’ve heard a bunch of rumours and speculations about the handset and here’s everything you need to know. Talks about the Nokia 9 picked up earlier this month as some alleged specs of the phone leaked online. From what we know so far, the flagship could sport a 5.5-inch QHD display with bezels similar to the Nokia 8. The phone could also sport an 18:9 display, since the Nokia 6 (2018) and Nokia 8 (2018) are rumoured to come with slimmer bezels as well. The Nokia 9 is also tipped to come in two storage variants, one with 6GB of RAM and 64GB of internal storage and one with 6GB of RAM and 128GB of storage. 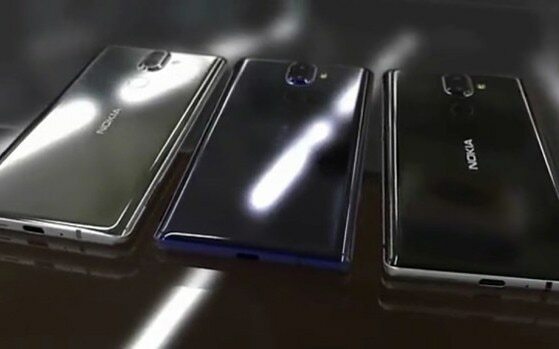 Past leaked images suggest that the Nokia 9 could sport a glossy rear panel which is either made up of glass or metal and a vertical dual rear camera setup. One of the more interesting reports recently suggested that the Nokia 9 dual camera system could feature a secondary telephoto or wide angle lens. This speculation arose after the Android 8.0 Oreo beta build was released for Nokia 5, as some testers found a redesigned Camera app that featured both telephoto and wide-angle support. Adding one of these as a secondary sensor would help the Nokia 9 stand apart from the Nokia 8. To recall, the Nokia 8 sports a dual rear camera system as well, but the secondary camera is a monochrome lens, and it is expected that the Nokia 8 (2018) will sport the same combination. As the company will be launching the device in January, the Nokia 9 is expected to go with the Snapdragon 835 chipset rather than the newly announced 845 processor. The flagship along with the Nokia 8 (2018) are both tipped to come with IP6 certification and both the phones will be dropping the 3.5mm headphone jack. It is expected to run on stock Android 8.0 Oreo out-of-the-box. While we will have to wait for the official unveiling to know the exact price, some early reports have suggested that the Nokia 9 may come with a price tag of around CNY 3,699 (approx. Rs 36,000) for the 64GB variant and CNY 4,199 (approx. Rs 40,800) for the 128GB model. The flagship is generally expected to carry a price that will be a few notches higher than the Nokia 8 or the coming Nokia 8 (2018) smartphones. Considering HMD has launched most of the Nokia-branded phones in India including the Nokia 8, it is highly likely that the Nokia 9 will be made available in the country as well. The Nokia 8 in India was launched at Rs 36,999, which means you can expect the Nokia 9 to be priced a few notches higher, perhaps around Rs 40,000 for the base variant. Of course, this is mere speculation as of now and we will no more once HMD Global unveils the Nokia 9 on January 19.